Anthony Joseph “Tony” Scarabino, 68, of Wintersville, OH, passed away Saturday, October 21, 2017, at University of Pittsburgh Medical Center. He was born June 5, 1949, in East Liverpool, the son of the late Frank J. and Reva Jean (Biacco) Scarabino. He was also preceded in death by his infant daughter, Michelle, his brother, Jeff Scarabino, and his faithful canine companion, Iggy. Tony graduated from the former Stanton Local High School in 1967. He served in the U.S. Navy as part of the Mobile Construction Battalion 74 during the Vietnam War, where his battalion was presented with a unit commendation medal. He was employed for 38 years as a machinist in the maintenance department at First Energy before retiring in 2009. Tony was an avid car enthusiast and racer. He was Catholic by faith. Survivors include his wife, Linda M. (Culp) Scarabino, whom he married December 31, 1994; four daughters: Angela (John) Hukill of Charlotte, NC, Dana (Matt) Kovach of St. Clairsville, OH, Toni Jo (John) Kemp of Columbus, OH, and Jeanna Scarabino, at home; and two sisters: Margaret F. Scarabino of Toronto and Regina Belangia of Jacksonville, FL. Also surviving are seven grandchildren. The funeral service will be held at 11 a.m. Thursday, October 26, 2017, at the Roberts Funeral Home with Pastor Mike Dyer officiating. 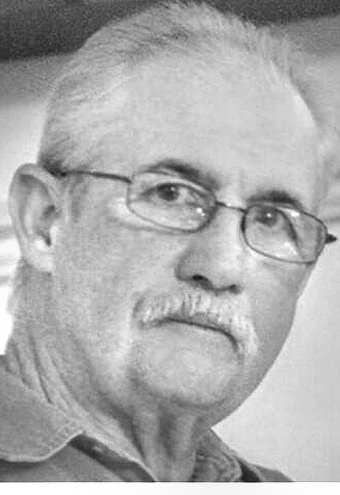 Friends may call from 1-3 and 5-8 p.m. Wednesday at the Roberts Funeral Home, 631 Main Street in Wellsville. In lieu of flowers, the family asks that memorial donations be made in Tony’s name to: Jefferson County Humane Society, 200 Airpark Road, Wintersville, Ohio 43953.